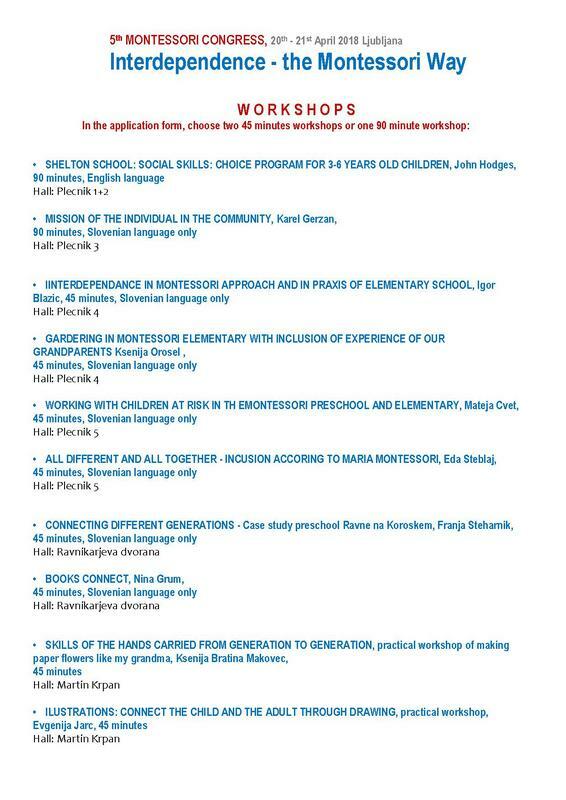 We are sending you invitations to 3 very good courses / workshops which we are organizing in year 2018. All 3 will be in English language (no translation to Slovenian). Please take a closer look if something would be interesting for you, you are welcome. We are happy to help you with accommodation and other questions. 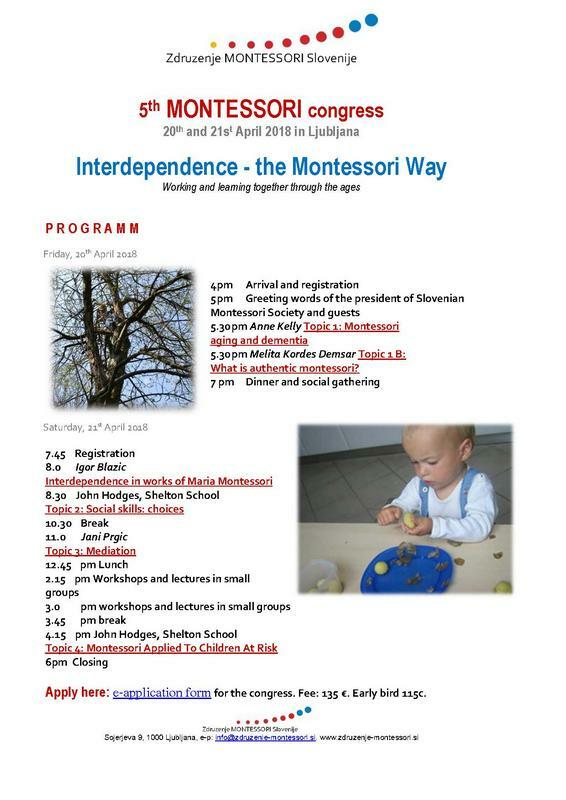 Attached is the invitation from Slovenian Montessori Society to 5th congress. In e-application form please scroll down and you will find English version of the application form. AMI Assistants Certificate Course 0-3: The Study of the Human Being from Birth – Three Years Old. can be adopted for individuals or groups as a philosophy of care. The goal of the Montessori program is to support people living with dementia by creating a prepared environment, filled with cues and memory supports, that enables individuals to care for themselves, others, and their community. 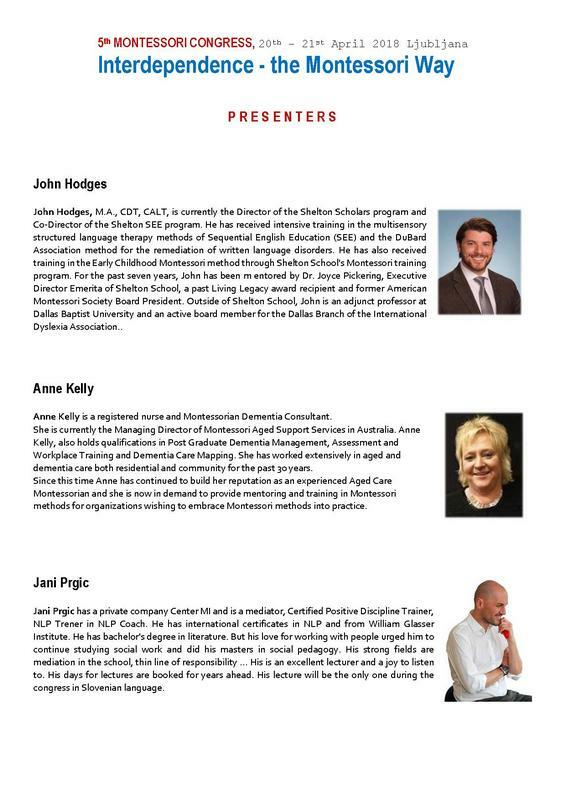 · Participants will receive handouts, and a certificate of completion from AMI.